Home » Amphibians » Best Reptile Show of the Year: NARBC Tinley Park! On the Web - The North American Reptile Breeders Conference & Trade Show Celebrates its 15th Anniversary in Chicago! Come see The Reptile Report and Ship Your Reptiles with Megaconda’s Meghan Kelley and one of her anacondas at the best show of the year! Cassie will introduce her favorite species and give tips on how to keep these lizards healthy in captivity. She will explain how the rainbow collection of fascinating lizards make excellent pets when their needs are met. Attendees will get a glimpse of the native people and interesting flora and fauna seen during his time spent in the highlands of West Papua New Guinea where he began evaluating the population of the Black Python in this remote area. Nick Esposito, or as most people know him “That Weird Gecko Guy,” began keeping and breeding Couth and Central America Boas and now keeps all kinds of Geckos from around the world. Capturing the beauty of wildlife in its natural habitat on canvas is never an easy task, but Tell Hicks has made it his life’s work. Tell will present a look at his awe-inspiring paintings for the upcoming book, The Rattlesnakes of Arizona. Based in Somerset, England, Tell’s fascination with reptiles and other wildlife continues to take him around the globe as he studies these amazing creatures in their natural habitat. Join Dāv Kaufman of HerpersTV fame as he takes you on a herping adventure of this incredibly rich and diverse country, and finds some of the most venomous snakes in the region as well as some of the rarest species on earth. Get more information by clicking the big green arrow below! 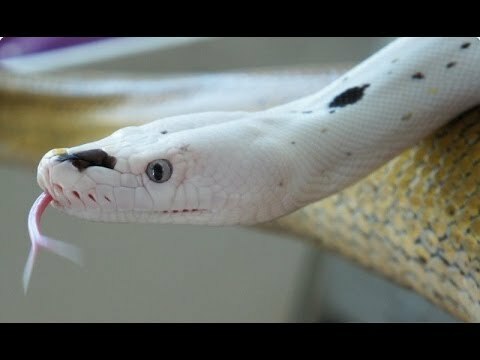 SnakeBytesTV- NARBC Tinley Park Show Coverage!